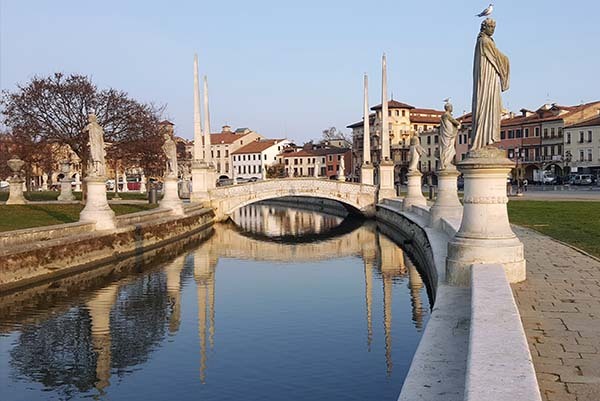 The presence of a Jewish presence in Padova dates back to the 1200s. 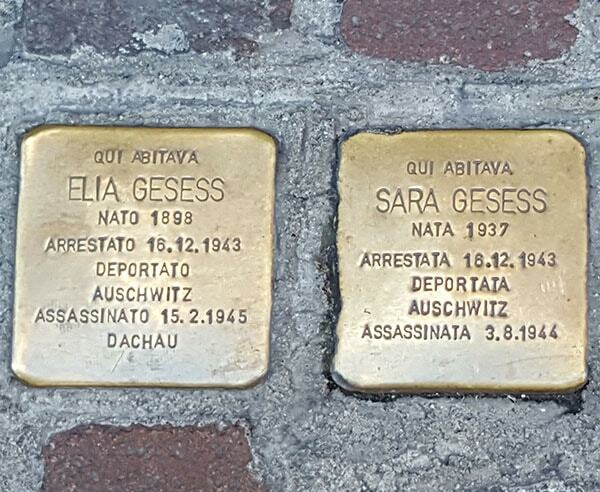 The Jewish quarter, or ghetto, is set in the heart of historic Padova, just off Piazza delle Erbe. Our Jewish Heritage walk will provide you with an overview of Jewish life in our city throughout the centuries, leading up to today. 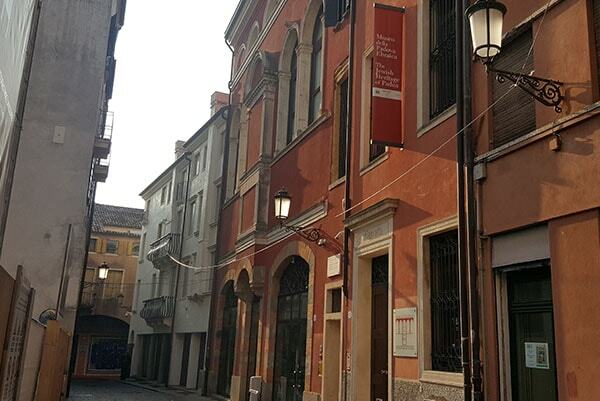 Your visit begins at the Jewish Museum of Padova as an introduction to the history of the community. The museum is located in the former “German” Synagogue, used by the Ashekazic community, which dates back to 1525. Leaving the museum, your guide will accompany you through the narrow cobblestone streets of the Jewish Ghetto, in the heart of historic Padova, dating back to medieval times. See where the Jewish community was forced to live from approximately 1603 to 1797. 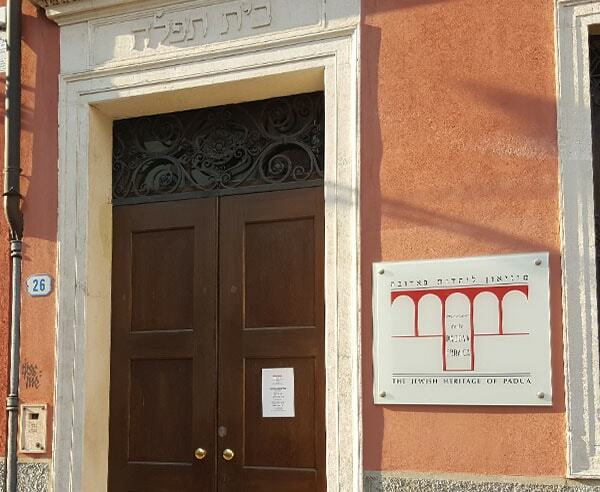 Next you will visit the Italian rite Synagogue of Padova, the only one still in use of the several that functioned from the Renaissance up to World War II. It dates back to 1584 and has gone through many renovations since its original construction. 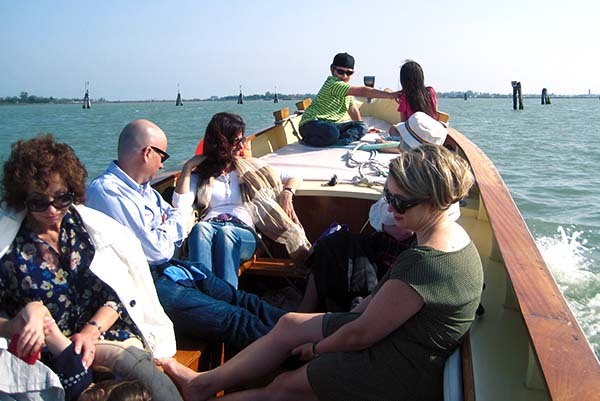 Your program will conclude with a visit to the Jewish cemetery on via Wiel, the oldest of such cemeteries in the city, dating back to the 16th century. Meet your English-speaking guide for a walking tour of 2 ½ hours. 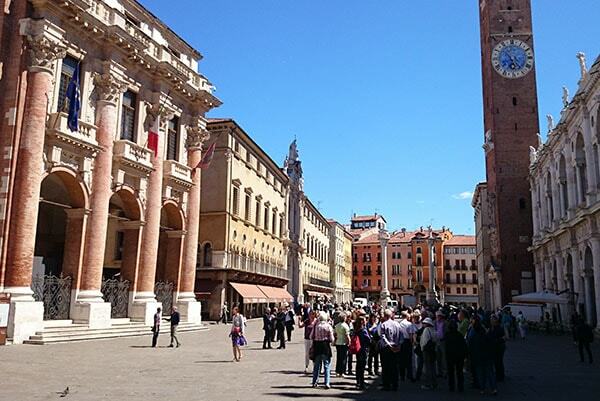 Tour Add-On*: Experience a Jewish Italian Tasting lunch in a private historic residence of the Jewish Ghetto. Lunch is hosted by an active member of the Jewish community in Padova. Learn about how typical local and Jewish traditions are blended through the fresh seasonal cuisine. Rachel is amazing! She met us at the train station and took us on an interesting and fun tour of Padua. Rachel is very knowledgeable and is eager to share all that she knows of Padua! We took a 3 hour walking tour of the city and visited all the major sights including the terrific food markets. Along the way we sampled great cheese and a piece of fruit.